A few months back, I sat down for a coffee with a journalist who was starting a new a regional news project. The conversation was focused on potential business models for this new initiative. Since announcing the Journalism Entrepreneurship Boot Camp and News Foundry, these coffee conversation have been happening with more frequency — and I love every minute of them. Over the course of these conversations — literally dozens of them — several patterns have started to emerge. There’s one specific pattern, however, that I believe is indicative of how some significant percentage of journalists see the process of connecting the work of a new journalistic undertaking to the people it’s aiming to serve. This pattern is something that I’ve started to refer to as “push journalism.” And I believe there’s a great struggle in the hearts of minds of journalists today between this push journalism — which is roughly equivalent to the status quo — and a new paradigm, process, and pattern that’s quickly emerging. Now, here’s the really interesting thing: I’ll bet that push journalism is something different than you might think it is. I’d be curious to know if that’s true. The pushing comes in the form of distribution partners, email blasts, social media campaigns — and, possibly worst of all, paid social media campaigns. The amount of pushing is often proportional to the time or cost of the reporting. And that’s because this piece of reporting is often viewed as a little paper sailboat in a stream of information where the current is quickly pulling it away and out of view. 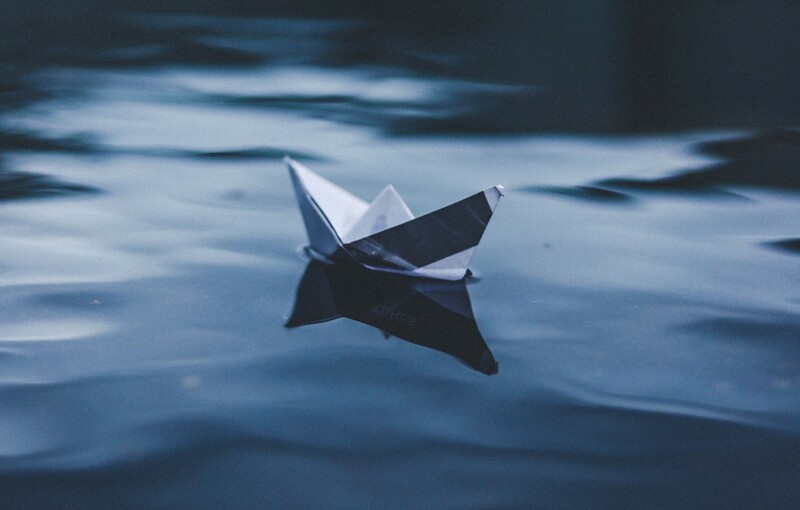 So we cup our hands to our mouths, breath in deep, and then blow wind into the sail of the little paper boat again, and again, and again. I see that in contrast to a newer, emergent approach that I like to call pull journalism. Pull journalism is very similar to concepts from the journalism world like engaged journalism and public-powered journalism, but adds concepts from the Lean Startup world like customer development. Have a hunch about a problem that people might be experiencing, or a question that has gone unanswered — one that might have an impact on people’s lives. Interview those people — perhaps a dozen of them — and listen for signals that your hunch is correct. Also listen for signals that your hunch is incorrect, and that perhaps there’s another problem, or unanswered question, that’s more pressing. Formulate a hypothesis based on these conversations about what might address the problem, or answer the question: is it a written story, or is it something else? How might these people use the information? Where and when would they use it? Go back to those dozen people, if possible, and present a stand-in for the finished version of the idea: a story pitch, a survey, a napkin sketch, a low-fidelity prototype, or what-have-you. Ask them for feedback. Ask them for introductions to another dozen people that you might be able to talk with. Repeat this process as quickly as possible until you believe you’ve got a well-tested idea for a journalism undertaking that solves a problem, or answers a question — one that is a pressing information need in people lives. Now go and do the reporting, the building, the producing. When it’s done, publish it, and then present it to all of the people that you’ve spoken with and ask them, if they believe it’s useful, to let people know. The exciting thing about a process like this is that it might provide an opportunity to create products so good — so well-tailored to a community’s needs — that people might just pull the products into their lives. They hear about it from a friend or colleague and search it out. They follow a reporter’s work so closely that this person found their own way to be notified the minute new work is published because it’s so relevant to them (even though your organization doesn’t provide a way to follow individual reporters yet). Do you have a journalism or information product in your life like this already? I know that I do. I have many. These products weren’t pushed into my view. I pulled them in because friends had mentioned them or because they’ve become a cultural zeitgeist in my little corner of the universe. The problem was, we still didn’t know exactly who we should be targeting or what they wanted. Sure, our analytics gave us great insight into how current users reacted to work we already produced, but we didn’t really know what topics and approaches we might be missing, because we hadn’t talked in a meaningful way to digital news consumers in the market — including those who weren’t regular users of our products. And it’s not just The Philadelphia Inquirer. Newsrooms all over the US and Canada are starting to embrace these ideas. In Canada, The Discourse has been using community listening sessions to help determine where to focus their coverage. In Chicago, City Bureau has been doing the same. And two companies are leading the charge with new tools to support these processes: both Hearken and Groundsource have been outspoken about their support for these ideas. So newsrooms aren’t empathizing, prototyping, or testing their work with their audience before they publish. What does this mean? It means limited effectiveness. It means newsrooms create stories they think serve their audience, but they don’t know if they’re right until it’s too late and they’ve already made the investment. It means a lot of money and time sunk on stories that don’t necessarily resonate with, help, or serve people. I don’t imagine that every journalists is going to pivot to pull journalism tomorrow, nor a time when pull journalism would make up 100% of a news organization’s offerings. I believe there’s always going to be a role for producing information that benefits a community that they may not recognize the need for directly, or on a day-to-day basis, e.g., education, housing and homelessness, government transparency, etc. However, I believe that for news organizations to truly thrive — along with the journalists within these organizations — making products that people love, products that they pull into their lives, is going to be the factor that sets apart the news organizations of tomorrow, from the ones of yesterday. But, there’s no doubt in my mind that now is the time to start experimenting. Let’s get started today. P.S. Got you thinking? Click the 👏 to say “thanks!” and help others find this article. Questions? Comments? Drop me a line. Originally published at www.phillipadsmith.com on February 19, 2019. Digital product developer. Media startup advisor. Journalism philanthropist. Mozilla Sr. Fellow ’17. JSK Stanford Fellow ‘17–18. Certified Lean Stack coach.